If that wasn’t enough, there are a handful of great routes that will take you past the best of London’s museums, markets and antiques. Take a look at our maps below! 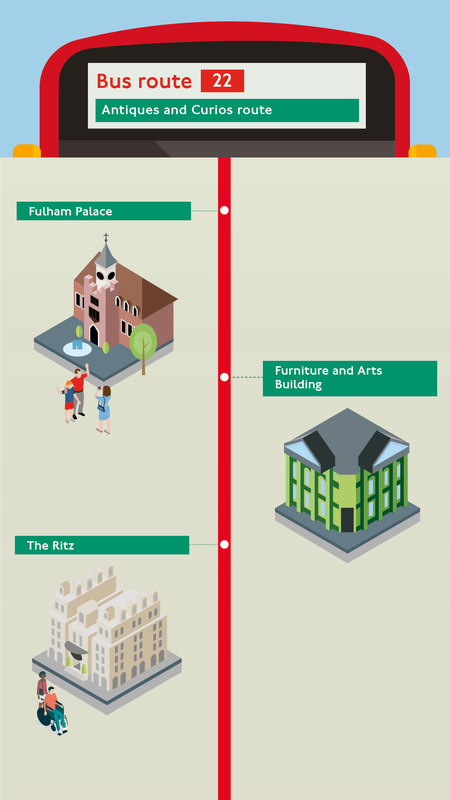 Our number 9 bus route passes several royal palaces including St James’s Palace, Clarence House and Kensington Palace. 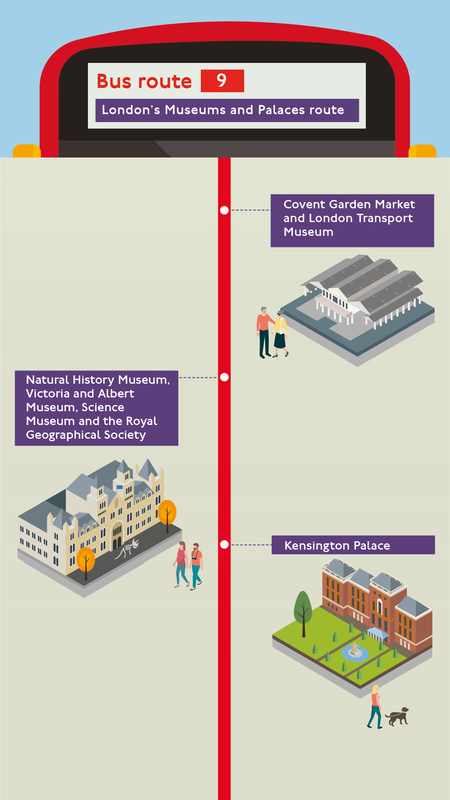 You’ll also be able to visit one of our favourite museums… the London Transport Museum! Screenshot the map below or check out the full route! 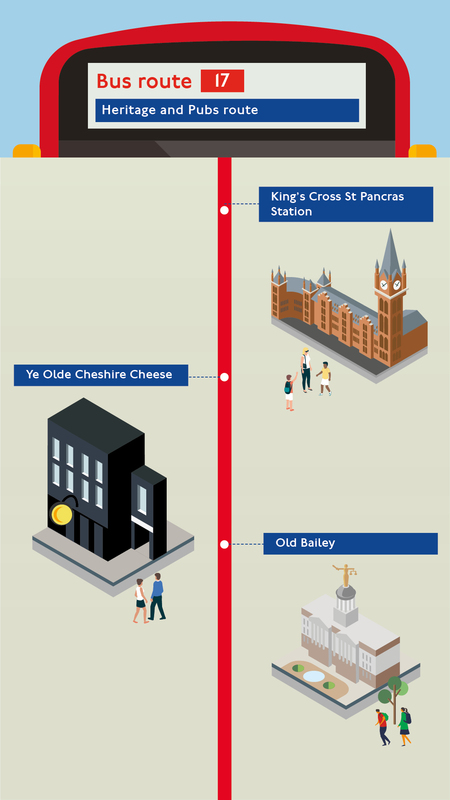 Take bus route 17 and visit some of the oldest pubs in London, the Charles Dickens Museum and St Paul’s Cathedral, amongst other historical highlights. Screenshot the map below or check out the full route! If you fancy exploring London’s art galleries, antiques shop and markets, hop on the number 22. You’ll also have the chance to get off and explore one of London’s most famous shops, Fortnum & Mason. Screenshot this map and head out to explore or check out the full route! Take bus route 35 and spend a day exploring markets across London. 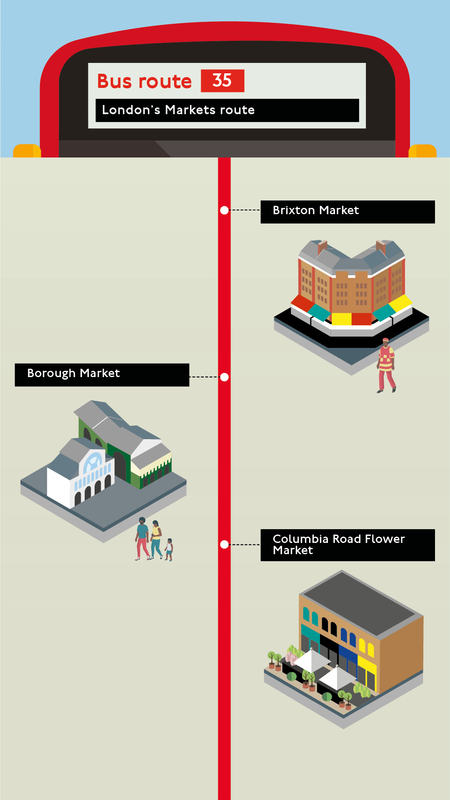 From the tasty bites at Borough Market to the stunning blooms of Colombia Road, brace yourself for a great day out! You can screenshot our map below or take a look at the full route! 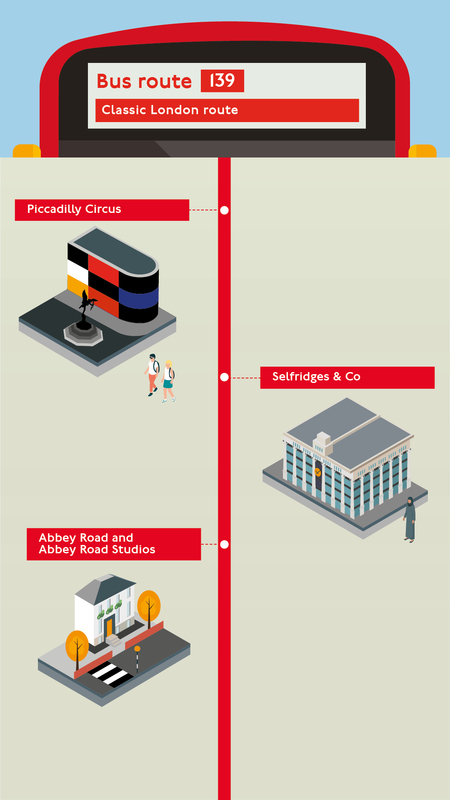 The 139 route will take you past some of the most iconic London attractions, including Piccadilly Circus and Trafalgar Square, and famous shops such as Hamleys Toy Store and Selfridges & Co. Screenshot our map or take a look at the full route!